Authorities reached out to the public Tuesday for help in identifying and tracking down a would-be kidnapper who grabbed a toddler on a Morena-area roadside, dropping her and fleeing when her mother began hitting him. The woman was pulling her 3-year-old daughter in a wagon on a sidewalk in the 5100 block of Savannah Street about 4:30 p.m. Sunday when the perpetrator parked a car nearby and got out, leaving the engine running, according to San Diego police. 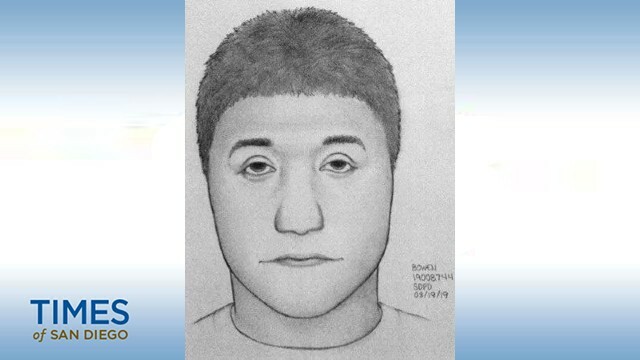 The man, who appeared to be in his early to mid-20s, approached the mother and child from behind and grabbed the girl. Hearing the tot cry out, the woman confronted the perpetrator and hit him repeatedly in the face, prompting him to let go of the toddler. The man then ran back to his vehicle — an older-model silver or gray Honda Civic or similar vehicle with Mexican license plates — and drove off, police said. He was described as a roughly 5-foot-5-inch, 130-pound Latino wearing dark jeans, a white T-shirt with black print on the front and blue high- top sneakers. Anyone with information about the case is asked to call San Diego County Crime Stoppers at (888) 580-8477 or contact the agency online at www.sdcrimestoppers.org. Tipsters may remain anonymous and could be eligible for a reward of up to $1,000.